The best Organic Food blogs from thousands of top Organic food blogs in our index using search and social metrics. We’ve carefully selected these websites because they are actively working to educate, inspire, and empower their readers with frequent updates and high-quality information. 2.2 Love Child Organics | Organic Baby Food Recipes, Kids Tips & More! Organic Food newsletter is a comprehensive summary of the day's most important blog posts and news articles from the best Organic Food websites on the web, and delivered to your email inbox each morning. To subscribe, simply provide us with your email address. 2. Love Child Organics | Organic Baby Food Recipes, Kids Tips & More! Whistler, Canada About Blog Mission is to make parents lives a little easier, by giving them access to convenient, organic and nutritionally-focused food and snacks for their babies and young children. Facebook fans 33,466. Twitter followers 2,713. Washington, DC About Blog Our unique mission is to advance credible, evidence-based science on the health and environmental benefits of organic food and farming and communicate them to the public. Facebook fans 37,454. Twitter followers 9,569. Sydney About Blog Organic food blog by Honest to Goodness. Honest to Goodness is one of Australia's leading online retailers, wholesalers & suppliers of certified organic and natural wholefoods. Our range of 800 products includes; nuts, dried fruits, grains, seeds, pulses, cereals, many specialty foods that are difficult to find, plus much more! Facebook fans 12,245. Twitter followers 1,169. About Blog A health and cooking website featuring Organic, Grain-Free, Gluten-Free and Paleo Recipes, Health and detox tips, and weekly meal plans. Facebook fans 167,261. Twitter followers 5,525. Facebook fans 28,351. Twitter followers 25,184.
valencia ca About Blog The Organic Kitchen features healthy recipes, cooking techniques, gourmet cookbooks, and health and wellness information. We don't just want to teach you to cook, we want to teach you how to eat well! Facebook fans 18,266. Twitter followers 1,643. London, UK About Blog The UK's largest fully certified organic supermarket, Planet Organic is a celebration of nature, overflowing with mouth-watering, inspiring and ecologically great ideas. We believe wholeheartedly that safe, seasonal and sustainable organic food is fundamental to good health and natural vitality. Facebook fans 34,335. Twitter followers 59,296. Atlanta, GA About Blog We connect organic food from Georgia farms to Georgia families. Georgia Organics is the state's nonprofit leader in advancing sustainable foods and farms. Offering classes, farm and garden tours, talks and other events, it educates consumers as well as farmers, gardeners, and agricultural professionals. Facebook fans 30,958. Twitter followers 15,635. Abbotsford, British Columbia About Blog The goal of One Degree Organic Foods is to connect people directly with the ingredients and processes used to make their food. Facebook fans 7,132. Twitter followers 2,258. New York | Toronto About Blog Ulula is a family run business run from an organic & biodynamic farm that the family also farm together. Ulula provides a place where we parents and grandparents can buy organic / biodynamic baby food, toddler foods, food for all the family, and skin care online. UK About Blog Follow us to keep up with information about Organic and Gluten-free food from Naturally Good Food. Facebook fans 1,327. Twitter followers 429. About Blog We are a manufacturer and distributor of clean, honest, plant-based superfood snacks, powders, and bars. Suwanee, GA About Blog The OrganWise Guys is one of America's nutrition education organization. Facebook fans n/a. Twitter followers 2,139. About Blog Attitude organic is the solution for all the trendy and busy women who wish to be healthier and greener. Our aim is to help you to adopt a more sustainable Attitude and lifestyle in the easiest possible way. Discover all the latest trends about healthy food, natural beauty, sustainable fashion and yoga. Follow us to keep up with articles on Organic Food. About Blog Follow us to keep up with articles from Organic Eating. London About Blog Hi! I’m Lauren Vaknine, welcome to my blog, Organic Spoon. I talk about healthy eating, healthy living and healthy parenting. Facebook fans 988. Twitter followers 700. About Blog Our blog includes tips, articles and recipes featuring organic fruits, vegetables and other local organic food. Facebook fans 378. Twitter followers n/a. Daventry, UK About Blog On our blog you will find product information, news and articles on all topics of interest to those who want to live healthier and breathe easier by looking after yourself, and our planet. Facebook fans 5,558. Twitter followers 5,755. New Zealand About Blog Join our blog of over 100,000, for delicious plant-based whole foods recipes with Buffy Ellen, health and wellness articles, inspiring interviews and subscriber only offers. Facebook fans 94,963. Twitter followers 519. About - The UK's largest fully certified organic supermarket, Planet Organic offer organic food delivery across the UK and Europe. About - I began this blog in January 2008. What do I mean by real food? As close to nature as possible. I want mine grown organically – without chemicals and with respect, as close to my home as possible. And wholefoody and unprocessed too, please. About - Find out more about Organic and Gluten free foods delivered to your door. About - Loving Foods sells hand prepared traditionally fermented food and beverages using the highest quality, locally sourced, organic ingredients. 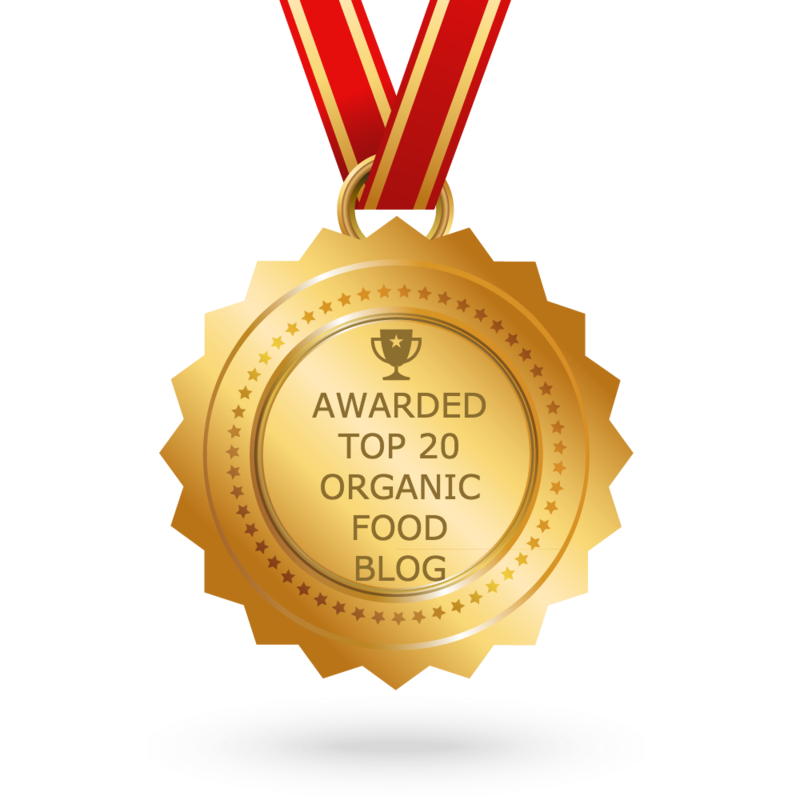 CONGRATULATIONS to every blogger that has made this Top Organic Food blogs list! This is the most comprehensive list of best Organic Food blogs on the internet and I’m honoured to have you as part of this! I personally give you a high-five and want to thank you for your contribution to this world.